The least we can say is that Longhouse are not afraid of taking their audience light-years away from any traditional heavy metal clichés. 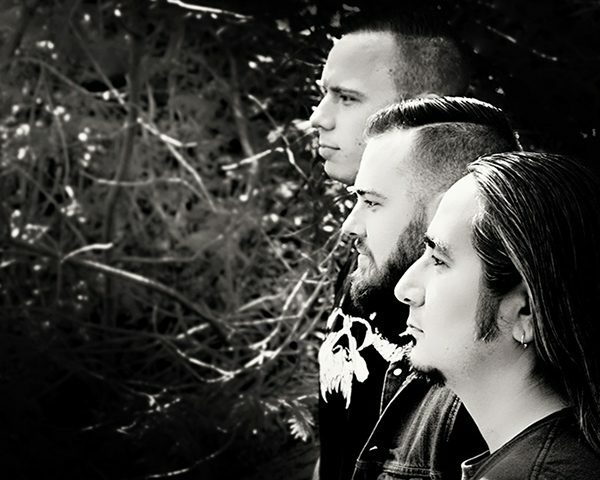 Diving into their vocalist’s Indigenous heritage and fearlessly commenting on important issues affecting the Indigenous population in Canada, such as the intergenerational impacts of the Indian Residential School System, and Murdered and Missing Indigenous women and girls, Longhouse has created a unique mixture of heavy, intricate riffs, splashed with a touch of post-metal that guides you on a dark and textured doom metal. Produced and engineered by Mike Bond (Loviatar, Norilsk, Crusades), their latest album II:Vanishing is a visceral journey of five tracks spanning nearly 40 minutes. Recorded at Wolf Lake Studios, II:Vanishing, their sophomore album, continues right where they left off with their debut album Earth from Water, released in 2015. Guitarist Marc Casey, bassist/vocalist Joshua Cayer and drummer Mike Hache’s music has captured the attention of many media outlets in 2016, from No Clean Singing, ToiletovHell, Sludgelord, Lords of Metal, Doomed to Darkness and Bonded By Metal just to name a few.